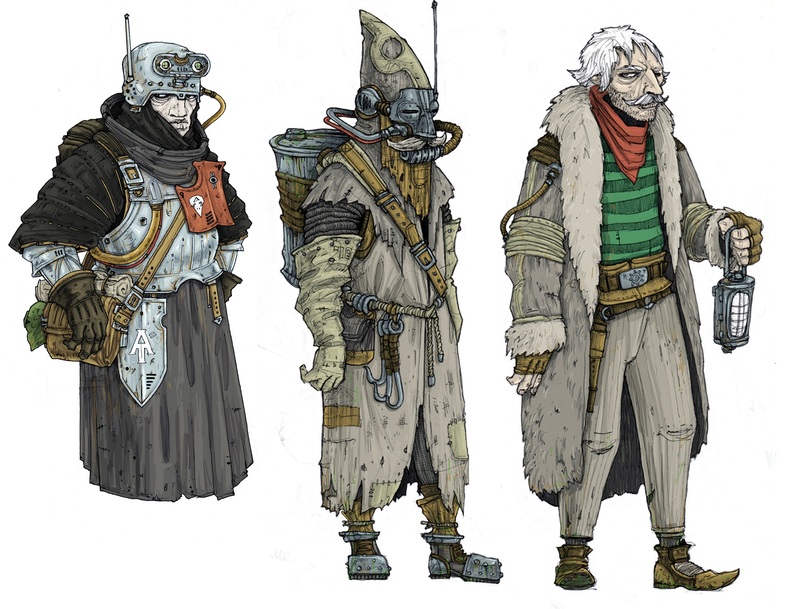 “On a colossal spaceship,a character awakens from cryogenic sleep—unknowingly holding humanity’s last best hope in his bare hands. . . .
InSomnia is a Dieselpunk RPG that transports you to a retro-futuristic space station on a 400- year journey in search of a new home. The guys over at Studio MONO were kind enough to take the time to answer some questions for me about their game InSomnia. It recently hit their funding goal on Kickstarter and with a few days to go, is still climbing as word gets around a little more. Please enjoy the read! Some great looking environments in InSomnia. TVGBL: What’s been an inspiration for you guys in creating InSomnia? 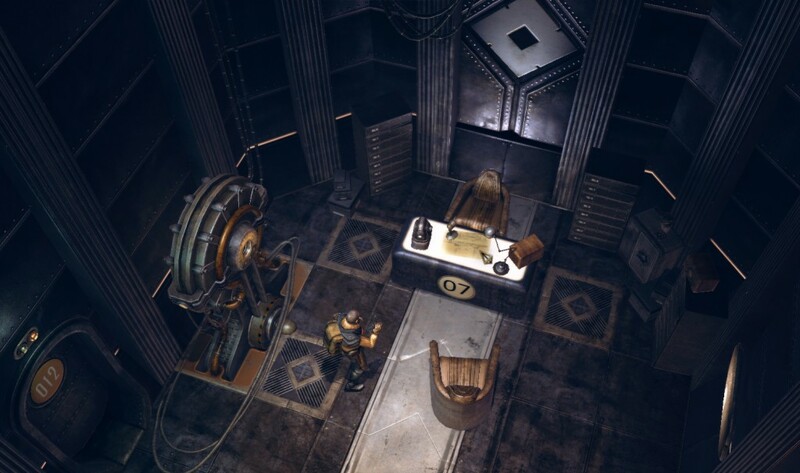 Having played the tech demo, I got vibes from the original Fallout and Bioshock. Anatoliy GuyDuk – lead developer at Studio MONO: The original idea was born slowly over several years, prior to when we started working on this project. I would just start thinking about the game and how I’d like to play by myself, so I thought about it for 2-3 years, making notes and conceptual sketches ETC. Over time I got together the first overview of the project & this is when I decided that I need to try to make it a reality – not just a fantasy. Once the first design concept was together, I started searching for the team; at first bringing in friends then looking for talent in Russia and then for people all over the world. 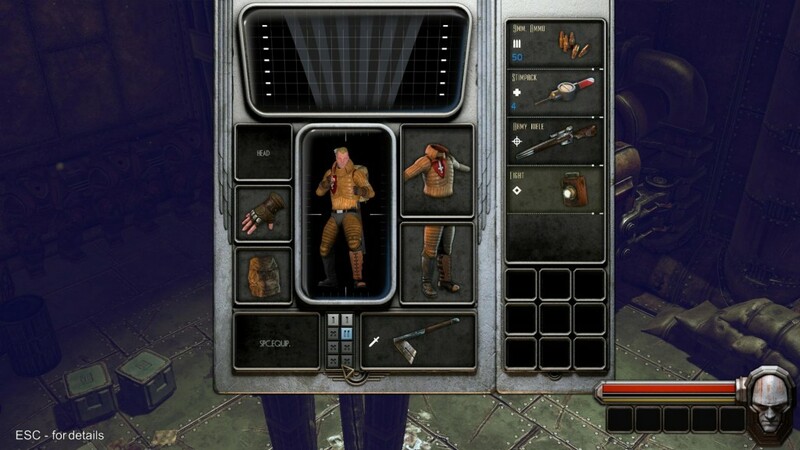 The project was in many ways was inspired by the classic Fallout Series and Planescape: Torment. I really like the look and feel of Bioshock, but this genre is not interesting to me really. But we don’t want to make another Fallout or Bioshock; we want to try to make our own unique universe and have still a lot of work to do =) These games are just the inspiration and the reason why we are making InSomnia project. 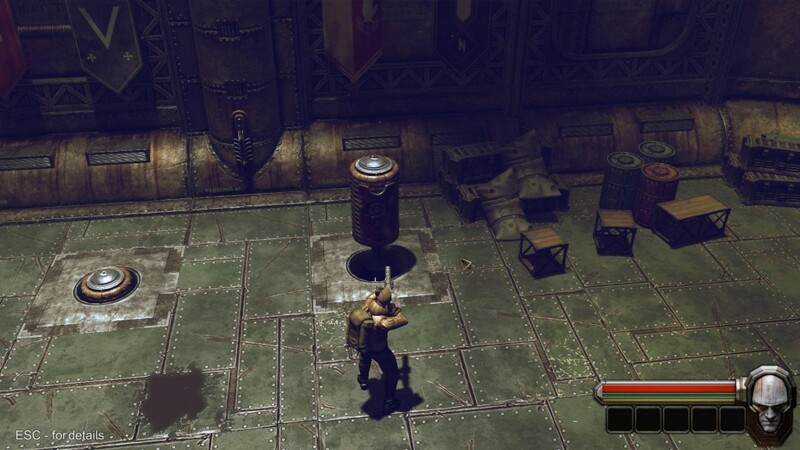 TVGBL: While InSomnia isn’t exactly an ARPG (like Diablo) it may draw some comparisons. So what do you feel makes your game stand out above other somewhat similar games? TVGBL: I’ve read that parts of the game will have randomly generated situations that will pop up. Will the levels be randomly generated as well or would additional play-throughs land you in the familiar locations? Anatoliy GuyDuk: Additional playthroughs make the difference, as well as several dozens of situations and side quest that will not be revealed through the first play through, it will be just impossible. Some of these side situations\quest will appear randomly, some will have several terms and conditions to be activated. TVGBL: Will there be a New Game+ mode after beating InSomnia? Anatoliy GuyDuk: No =) I can guarantee though, that you will not open all content during one play through, and level difficulty you will chose only at the beginning. TVGBL: Since I haven’t seen the skill trees yet, I was just wondering if a full/only melee, stealth or diplomatic approach would be possible in InSomnia? Anatoliy GuyDuk: So it will be hard I think to play with completely melee or completely ranged combat skills, you will need to get a sort of proportion. Many situations could be solved in dialogue if you wanted to and have good charisma as well as some social perks. I even don’t know by my self if it would be possible to play through just using speech skills, but in some situations you will be involved in combat no matter what. Sneaking of course yes, it will be possible to make a build of a thief, but you will need a complex set of skills, it will be hard to play just focusing in one skill, so on one hand you will be not able to learn everything, every skill perk and ability but on the other you will need several skills to play through. Friend or foe… I wonder if you could treat a whole room as hostile and if you could live through it? Either way the atmosphere is pretty nice. Anatoliy GuyDuk: Exactly – like Ultima Online =) I like it to, and it is in one of our prototypes, but we will not have as rich crafting opportunities as in Ultima I think. You will be able to craft and manage simple objects, make improvements of your items, disassemble items you don’t need, get resources to build the item you need, but there will be not a crafting a really complicated higher technology mechanisms from the nothing. Yes, you will be able to customize its look, some parameters but only having the base, and parts that you need for customization. I’ll admit to having no idea what’s going on here in this concept art. 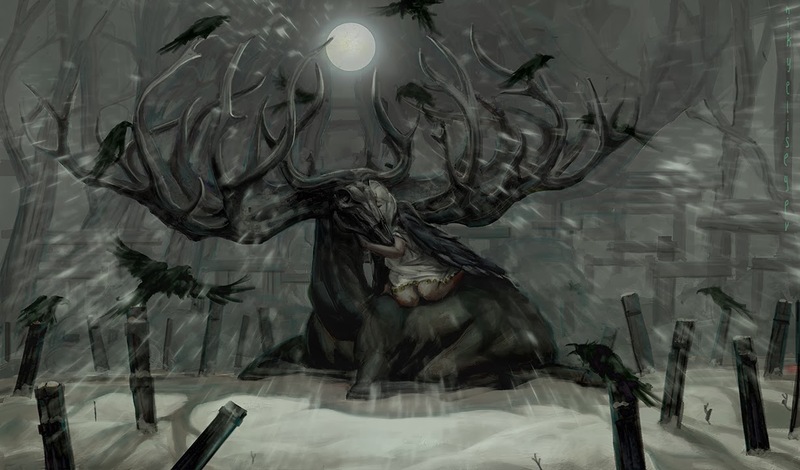 It looks like some girl climbed into a skull of an antler-laden horse beast and is threatening it with a dagger. If that’s the case, she’s got some guts. TVGBL: Wearing certain armor types will slow you down or help you be more agile and fast correct? Will there be fancy armor sets that when completely gathered give stat bonuses as well as looking aesthetically B.A.? Anatoliy GuyDuk: No there will be no system of items sets, armor gives a great defense, but have several penalties. There will be different types of armor, some will have just 2 – or one parts, as heavy and super heavy armors,other will consist of different slots, legs torso, helmet, gloves ETC. The more heavy armor you have the less tactical opportunities you will have, for example lockpicking in super heavy armor as well as using medicines and crafting skills are disabled, but you will have a really great defence. 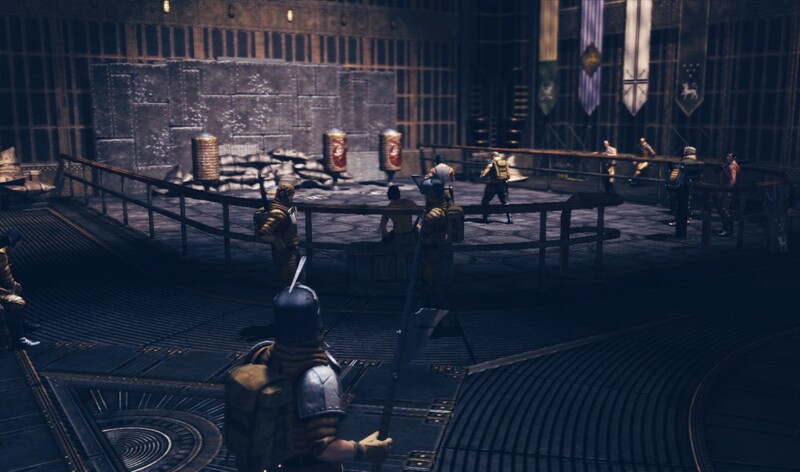 Again we will not have level items, there will be items of different qualities and each type of armor light or super heavy will have it bonuses and penalties. TVGBL: I see in your FAQ section of your Kickstarter page that you offer co-op and NPC companions. Will there be a mixture of the two (how would the “real-time with pause” work)? Anatoliy GuyDuk: It will work very simple, we will have a sort of tactical pause charge, so you will be not able to use it always. The tactical pause will be good to control your companions and just get time to understand what do you want to do in this situation and how to build a tactic. If someone joins you (another player) the ability of tactical pause will be only yours. 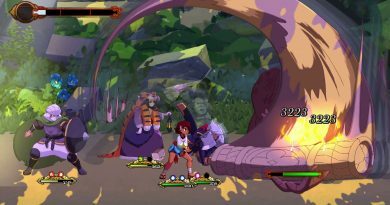 Or may be the will have a tactical pause one after another, we need to test a lot and to gather feedback on how TP will work in Co-op. TVGBL: What aspects of InSomnia are you most excited for players to experience? Anatoliy GuyDuk: The storyline, we’re incredibly proud of what we’re put together. In InSomnia RPG 2 maybe we’ll up the ante in terms of visuals, but the main task right now is to brainstorm dramatic storylines and to create hard decision making that will impact on the player’s experience. This picture was labeled as the “Ravenguard”. All I know is that it looks like the guy on the left would shoot me. The guy on the right would rob me blind. That guy in the middle would probably just hug me… and then explode. TVGBL: Is there anything else you’d like to mention to the readers? TVGBL: Thank you for taking the time with us to shed some more light on InSomnia. Anatoliy GuyDuk: Thank you for your questions. There you have it guys. I hope you found that to be an interesting enough read to warrant another look at their Kickstarter campaign. It’s already been funded, they are just working on stretch goals now. If InSomnia looks like you cup of tea, head on over and give them some love! Also, give them a like on Facebook! I’m all in on this game. Donation sent! Looking forward to this releasing.